Coleburn Distillery is nestled in woodland near Fogwatt, about six miles south of Elgin. The owners of Coleburn Distillery want to revamp the dormant warehouses as part of a hotel, spa and conference centre complex. Dale and Mark Winchester are aiming to kick-start the project, which has been in the pipeline for more than a decade, by augmenting it with a whisky shop and cafe. Council planners have now ruled the proposed modern modifications will not harm the category B-listed buildings at Fogwatt near Elgin – but have yet to grant full planning permission. Historic Environment Scotland raised concerns about alterations being done to the former stores, but their misgivings have been dismissed. Last night, consultant Alan Farningham explained that queries about parking and access had delayed the scheme’s approval, but anticipated it would be granted before the end of June. He said: “There haven’t been any objections from locals or from statutory consultees. The transport manager has asked for some additional information about parking and access. 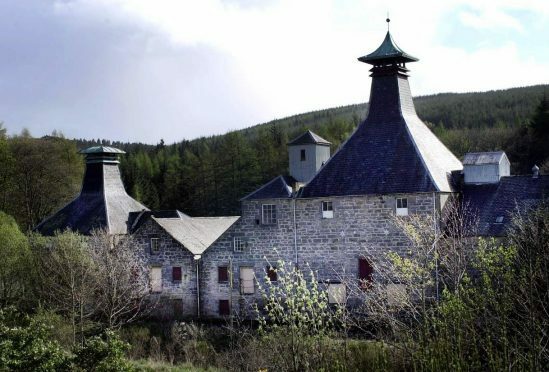 Concerns about a lack of parking at the woodland site held up previous proposals to revive the former distillery as a hotel before 550 spaces were added to later drawings. If planning permission is approved, it is anticipated construction could begin before the end of the year on the whisky attraction. In a report, planning officer Craig Wilson concluded the shop and cafe proposals will not alter the “character and appearance” of the historic warehouses. He sta: “The distillery and its stores have been vacant and unused for a considerable period of time. Various uses, involving changes, have been approved but never implemented. Whisky was first produced on the site in 1896 before the stills went cold in the 1980s. The Winchester brothers bought the premises in 2004.